On the 30th (Sat), enjoy the sand and surf at Ispoinen Beach and Sauna and then hike along The Archipelago Trail. 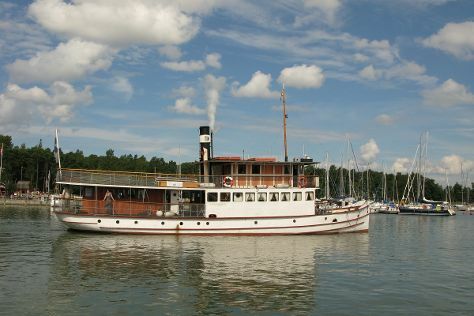 For more things to do, traveler tips, photos, and more tourist information, read Turku trip itinerary planner . The Route module shows you travel options from your home to Turku. March in Turku sees daily highs of 3°C and lows of -5°C at night. Finish up your sightseeing early on the 30th (Sat) so you can go by car to Hanko. Hanko is a bilingual port town and municipality on the south coast of Finland, 130km west of Helsinki. Kick off your visit on the 31st (Sun): tour the pleasant surroundings at Bellevue Beach and then hike along Tulliniemi Nature Path. For maps, where to stay, ratings, and tourist information, use the Hanko trip itinerary planner. Traveling by car from Turku to Hanko takes 2 hours. In March, plan for daily highs up to 3°C, and evening lows to -5°C. Finish your sightseeing early on the 31st (Sun) to allow enough time to drive back home.